Bitcasa is a new cloud service that integrates infinite storage, sync, backup and share into your desktop and across all your devices. Infinite - Your folder never fills up - regardless of what you put in it. 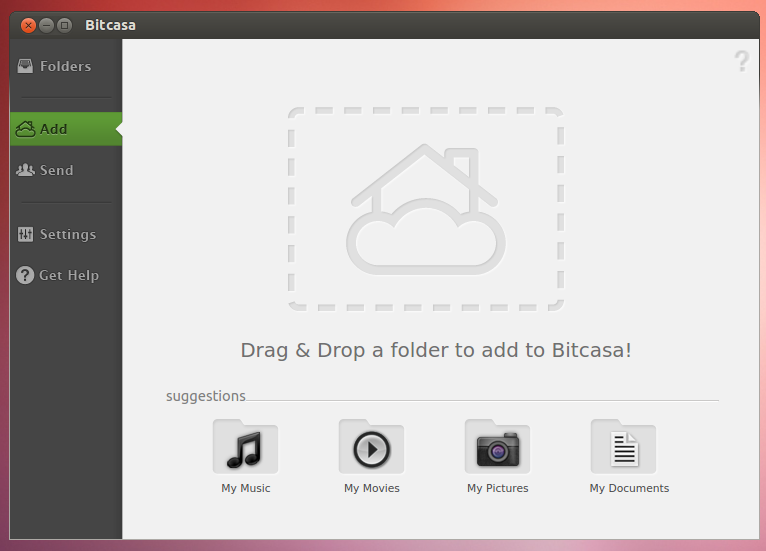 It appears on your computer just like a normal folder and Bitcasa instantly streams it's contents to your device as you use it. You might want to make your personal videos Infinite as they take up a lot of space and you probably don't access them very frequently. As long as you're online, they will be available to watch with an Infinite folder. Sync - Your folder is copied to every device whenever you make changes. It will be available even when you are offline. You might want to Sync your personal documents so you always have the latest copy of your resume handy! With a Sync folder it'll be available on or offline, whenever you need it. Backup - Your folder stays on your current computer and is backed up to Bitcasa for safe-keeping. 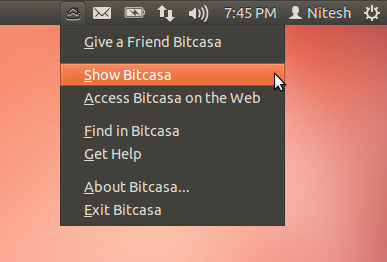 Any changes to make to the folder are automatically propogated to Bitcasa as well. You might want to use a Backup folder for your saved games. You'll have quick access to it on your gaming computer, even if your Internet goes down, but if your computer fails or you replace it, all your saved games can be retrieved from Bitcasa. 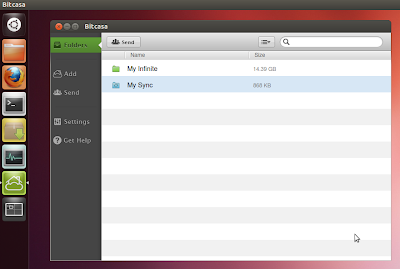 A Linux client was introduced couple of months back (as of now 64bit only). I tested it, its working well although it is alpha software. Bitcasa is currently in beta phase and you can manage as much data using Bitcasa as you want. However, they plan to charge $10 a month once it goes stable. 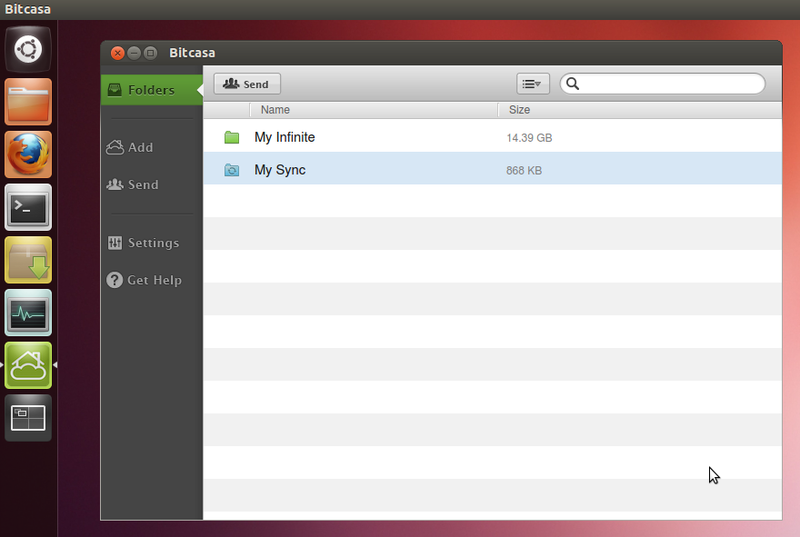 It is not clear if they will provide a limited free storage quota like Dropbox and Ubuntu One.